The massive overhaul to the federal tax code recently proposed by Republicans in Washington could bring numerous changes to how both single persons and married couples file their taxes. One provision included in the current version of the bill would make paying alimony an even more expensive proposition for the payor. Learn more below on the potential changes to how alimony may be taxed under changes to the law. Currently, federal tax law requires alimony-receiving spouses, rather than alimony-paying spouses, to shoulder taxes on that money. Alimony payors are permitted to deduct any alimony payments made from their income for the year. Meanwhile, alimony recipients should be declaring that alimony as income and paying taxes accordingly. This rule is seen by most experts as the most tax-efficient arrangement. Since alimony recipients are almost necessarily the lower-earning of the two, it is likely that they will pay less in taxes on that money than would the payor spouse, since the recipient is likely to be in a lower tax bracket. This, in theory, means that the payor has more money with which to pay alimony. Currently, there are many more filers who deduct their alimony payments on their federal tax returns than there are filers who declare the alimony they receive as income, resulting in a loss for the government in tax income. The recently-revealed overhaul to the federal tax code, known as the Tax Cuts and Jobs Act, proposes that the alimony deduction be eliminated. In other words, the payor spouse would pay alimony from their post-tax income, and the receiving spouse would no longer be obligated to declare that money as income on their taxes. This would mean that the tax burden on alimony payments would be paid by the spouse in what is likely the higher tax bracket. Some experts believe that this change would cause courts to order smaller alimony payments, since the payor would have to be able to afford the alimony payments and taxes on that money. The changes would not affect couples whose divorces were final prior to the passage of the law. 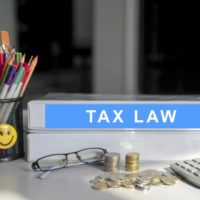 Couples planning to split can obtain greater certainty on their tax obligation by initiating their divorce case prior to an overhaul of the tax code. For assistance with a New Jersey family law matter, such as a divorce or contest over custody, contact the knowledgeable, compassionate, and seasoned Union family law attorney John B. D’Alessandro for a consultation, at 908-964-0102.